Our 45-hectare estate lies in the Bénye Basin, in the geometrical centre of the Tokaj Wine Region. Our family bought the land in 2002, planning to produce top quality wines in this reputable corner of the region, so that the fame of the Tokaj wine can be enhanced in Hungary and throughout the world. We aimed to bring along the love and respect of nature and constant innovation when building up the winery. We invited tenders from architects for the construction of the main building and the processing plant. Our primary aim was, of course, to meet all the requirements of the functions of wine making, however we deemed it very important to make the building harmonise with its surroundings and to prevent the creation of an eyesore. We wanted the buildings to match the architecture of the Tokaj Wine Region and county Zemplén, and we required that primarily local materials be used in the construction. This is why the walls are covered with yellow-toned Mád limestone. A further sign of adapting to the landscape and its history is that the edifice embraces the old walnut tree that became the symbol of the estate, and is erected right in front of the centuries old cellar, the Lőcse farm. The “chateau” was completed by May 2006, in accordance with the designs of Anthony Gall, an Australian architect living in Hungary. The floor space of the building is 3000 square metres which includes the viticultural, winemaking, catering and office functions. Everything happens here, starting from the arrival of the harvested grapes to the bottling of the wines ready for sale on the market. This investment was of pioneering importance in the future development of this settlement with great past and special location. Anthony Gall and his colleagues received the Pro Architectura Quality Award for their design in October 2007 and the building also won the 2007 Construction Industry Quality Award. As far as technology is concerned, the Béres Winery is surely one of the most modern processing plants, where cutting edge equipment is matched with the traditional winemaking technology of the Tokaj Wine Region. The full area of our vineyard is 45 hectares consisting of the south-western slopes of Tolcsva-Peres Hill, the southern slopes of the Felhegy-Zsákos Hill, these are connected by the vineyard of Diókút Valley. Apart from the plantation our estate also includes half a hectare of plum orchard that was planted in 2006 (Besztercei type) and a further 47.5 hectares of forest and fields, part of which is suitable for planting vines. The Wine Estate includes the traditionally known and reputable plots named Omlás, Diókút and Lőcse. The latter one got its name from the free royal town of Lőcse (today Levoca in Slovakia) as this area was held by the town 300 years ago. 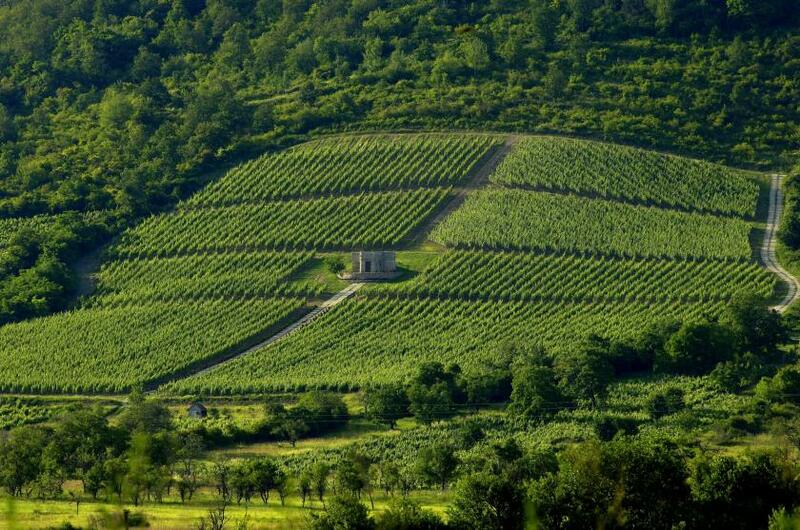 The rhyolitic tuff loess, the plots on the steep slopes (at some places it is 35 %) and the excellent microclimate guarantee the ecological background for vine growing. Only the traditional Tokaj-Hegyalja types are grown on our estate in the following proportion: Furmint (51 per cent), Hárslevelű (23 per cent), Yellow muscatel (12 per cent), Kövérszőlő (7 per cent) and Zéta (7 per cent). On average, our estate produces 100,000 bottles premium quality wine annually. 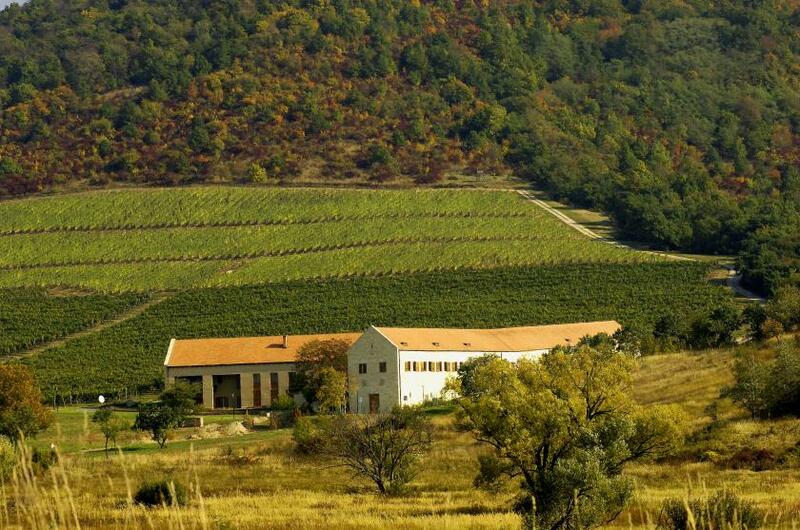 With this output our winery is regarded as one of the prominent premium wineries of the Tokaj Wine Region. Our first wines are from 2003. This year gave us a very good start, thanks to the great weather, the yield limit and gentle processing. As a result of all this, our winery made its debut with beautiful wines. This promising beginning was followed by excellent wines and outstanding results in the next decade. Our portfolio includes light, reductive wines as well as wines with more body and specified origin of plot, such as Lőcse, Omlás Furmint and Diókút Hárslevelű. Our wines Naparany, Holdezüst and Magita Cuvée add further colours to the palette of products. Our pyramide is topped by our 5 and 6 Puttonyos Aszú and the Eszencia. Our alcohol free product, the 100 percent grape juice, Must is also popular with our customers. Other traditionally made products, such as the Béres Pezsegő sparkling wine and grape and plum palinkas are also available.